Pictured (L-R): Black River’s Doug Johnson, John King, Black River’s Greg McCarn and Black River’s Gordon Kerr. 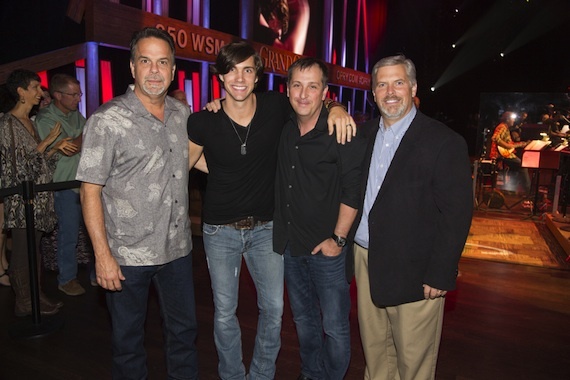 John King made his Grand Ole Opry debut on Saturday and was welcomed onto the stage by Opry member Steve Wariner. Now in the Top 40 and climbing, John wrapped his debut set with his current radio single “Tonight Tonight.” Written by Marshall Altman, Dylan Altman and Andy Cortes, “Tonight Tonight” was produced by Doug Johnson and Altman. 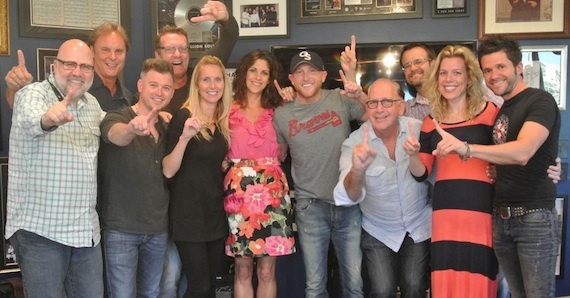 Cole Swindell celebrates his second consecutive No. 1 single off his self-titled debut album with “Hope You Get Lonely Tonight,” which topped the Billboard Country and Mediabase Charts this week. Nominated for CMA New Artist of the Year, the country singer-songwriter is set to make his Grand Ole Opry debut next Tuesday, October 7th on the legendary stage. 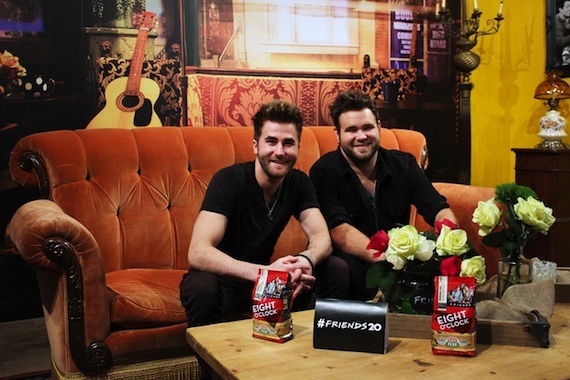 The Swon Brothers celebrated National Coffee Day yesterday with Eight O’Clock Coffee and “Friends” at the Central Perk Coffee Shop in SoHo. The CMA Nominated “Duo of The Year,” performed their hit single “Later On” along with other songs from their self-titled debut album available Oct. 14. The crowd enjoyed the new music along with free cups of Eight O’Clock Coffee in honor of National Coffee Day and the 20th Anniversary of the hit TV show “Friends” debut. 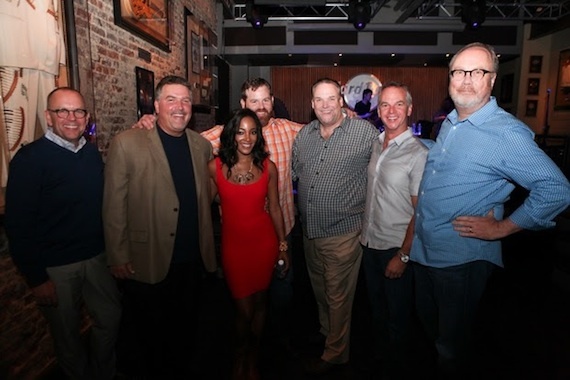 UMG Nashville/Capitol Nashville’s Mickey Guyton recently performed for the Country Radio Broadcasters Board of Directors during the CRB board dinner, held at Hard Rock Cafe in Nashville, Tenn. on Sept. 25.